This entry was posted in Uncategorized on January 5, 2018 by Unashamed of Jesus. And yet the point goes so much deeper to the need for obedience in our belief. That’s where the demons missed it. 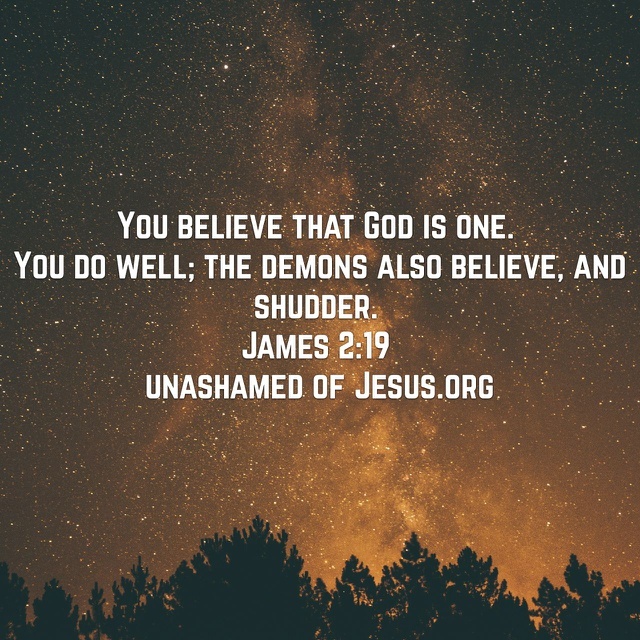 They believe and shudder. Shudder gets you nowhere. It takes repentance and the new birth which they cannot have, but we can.